Do you need a quick dessert for a Holiday Party or a Family Christmas “Get-Together”? 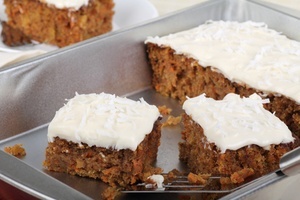 Give this simple pumpkin dump cake a try. You can buy all the ingredients well ahead of time, then mix it all up and bake. You end up with a yummy cake without a lot of extra dishes to clean. In a mixing bowl combine pumpkin, evaporated milk, sugar, cinnamon, salt and eggs. Mix well. Pour mixture into a greased 9×13 pan and sprinkle the dry cake mix on top. Top with pecans and the melted butter. Bake for approximately 1 hour or until done. Top with cool whip and serve. Would you like to steer clear of the holiday shopping crowds? 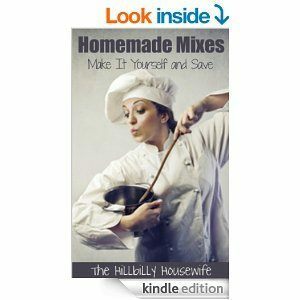 You can with this guide to Homemade Christmas Gifts and More. Making Homemade Christmas gifts is one way to actually enjoy the process of gift-giving. Not only are homemade gifts and decorations frugal, they’re more fun! We don’t have to rush out to the mall to shop for Christmas when we have ideas for creating gifts right at home. Take time to enjoy your holiday season. 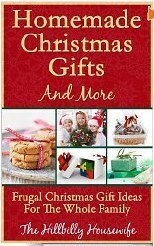 Click on and download now to start planning your frugal AND fun Christmas.